Ding–early this morning I get a text message from an unknown number. It’s all written in Czech. Just then a Czech friend walked in to the office and I said, “Can you help me read this?” “It’s your gas company…you need to pay your bill.” I promise I’m not irresponsible, but I just can’t win at the whole bill payment thing in Czech. A few more minutes online and my friend was able to help me pay the gas bill, but it’s definitely embarrassing and confusing. That company sent us a letter that we showed to another Czech friend who said they would automatically debit those things from our bank account. I guess that wasn’t the case, so tomorrow I’ll setup a regular online payment. Even as I say that, I have a paper sitting next to me to pay for Titus’ preschool which requires an online bank transfer. If I figure this without losing my mind I’ll turn up “We Are the Champions” and slow jog around the house in victory. 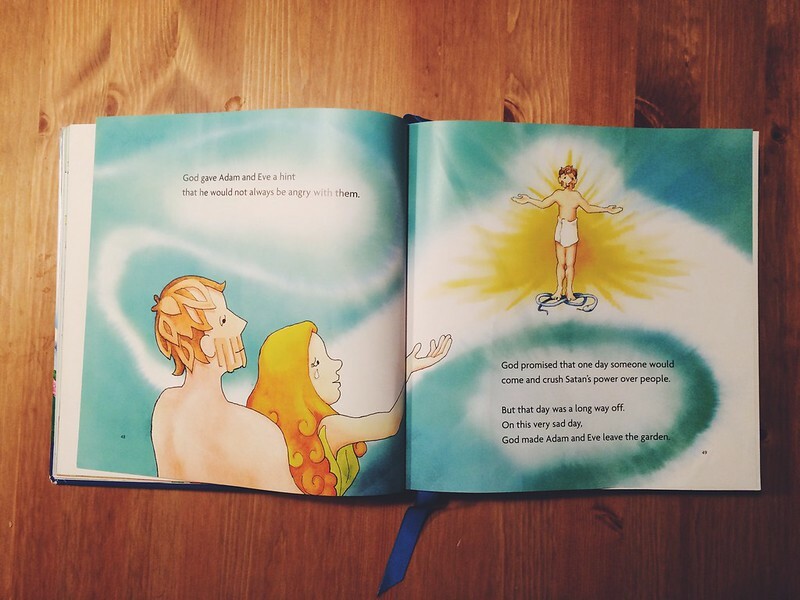 Every night we read the kids their Big Picture Story Bible. We just finished our seventh or eighth time through and have restarted again this week. Tonight we were reading about the sin of Adam and Eve in the Garden of Eden. As I opened to the chapter the title read, “A really sad day” which I read aloud to the kids. 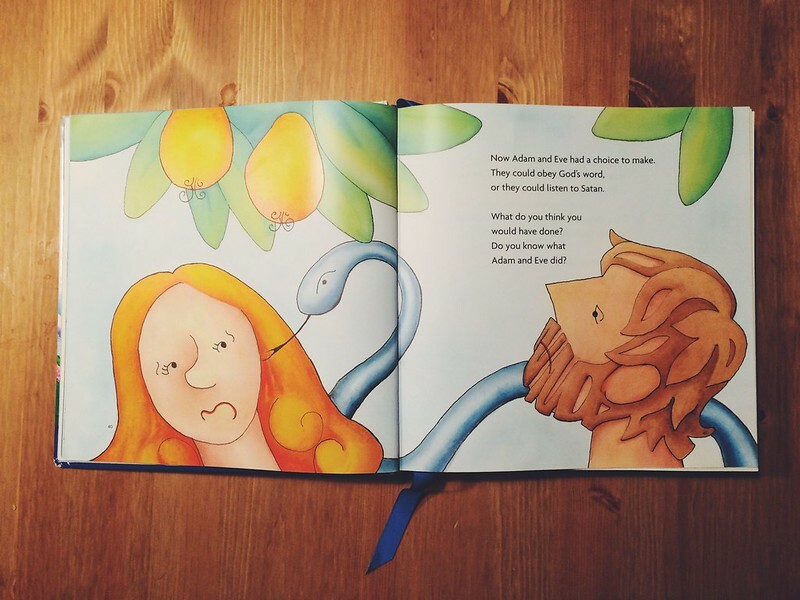 Avery immediately said, “They ate from the tree…” and followed that with “Adam and Eve disobeyed God and He disciplined them.” She remembered the entire story and I hadn’t even started to read! Now I know kids are sponges, but Avery (who’s almost three) surprised me. I guess it’s the beauty of repetition and stories. Both are so powerful. Like a song chorus that gets stuck in your head, repetition provides an easy way to secure something in your mind. Stories have the same effect with their powerful word pictures and emotional connection. It’s so fun to see it all at work in the lives of our children, and better still, that it’s the truths from the Bible that are sticking. At the end of the chapter tonight there’s a page about God giving Adam and Eve a glimpse in to how He would one day defeat Satan and sin. Titus saw Jesus standing on the snake and said, “Jesus!” and the kissed the book. Then he said, “He killed the snake!” Yes, He did and by His grace Titus will have a full understanding of what exactly that means in his own life some day. Until then we’ll continue to read to him and Avery the big story of God and trust their view of God will grow too. That’s not just a hope and prayer for the kids, but for Bethany and for me.